There is a large seawater pond at Hamarikyu Gardens. 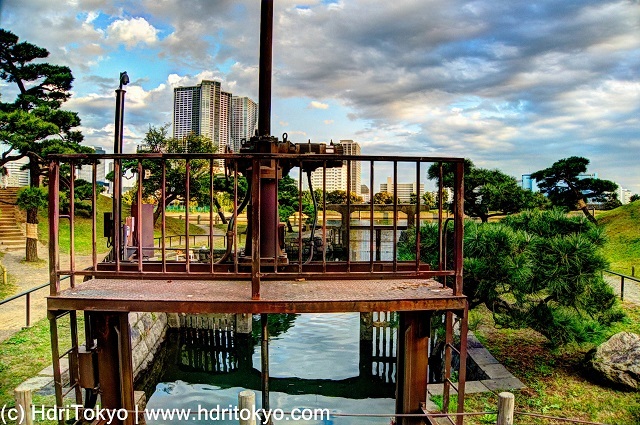 This sluice connects Tokyo bay and the pond. 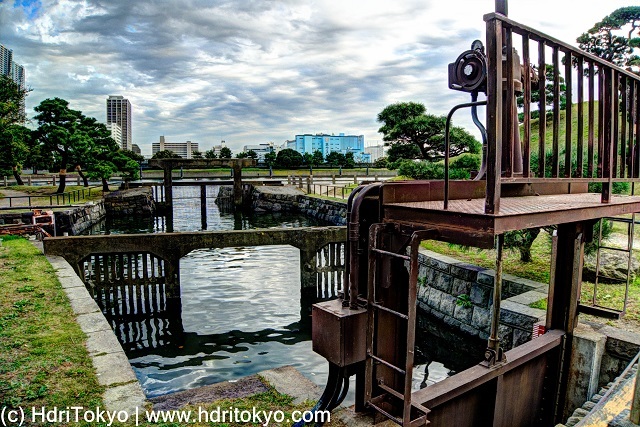 Please visit the post on this blog, "Incoming Tide Pond at Hamarikyu Gardens".